Looking for Basic Computer Courses for beginners that provide computer courses training with certificate, Here at Acme Collins School you always have certificate when you finish the 36 Hours of training. This Basic Skill based programme has 8 Module and some assessment, in this course, when student finish the all assessment then he/she will be able to download certificate. As sometime happens that student get fail in the assessment due to some reason. So, at that time they can re-attempt the exam without any additional charges. 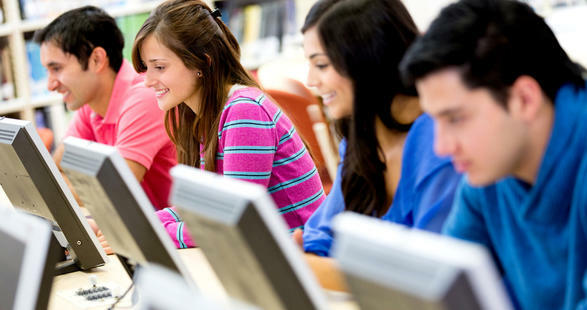 Typing Course – Students who are looking for Basic Courses can learn this course which is actually effective. You can learn typing in just 30 days. Because, in this basic tutorial student learn practically on the licensed application software and Therefore, Students learn Typing in no time. BCC (Basic Computer Course) – Have you ever heard about Online BCC course? If not, then here you are getting this course online. We are providing online basic computer course with certification. Most importantly you learn this course online. Where, you don’t need to waste your more time. While learning Online, we can manage our study time as per situation. So, thinking of learning this course online is good idea. It is not for only younger but also for aged person. If we talked about certification process. So, the certificate you are going to receive from Acme Collins School is genuinely accredited by CSC Academy and Digital India. So, Student Who are seeking Basic Computer Courses Certificate. They can get it by this simple process. It will only require 36 Hours of training. This entry was posted in Academics, BCC, Computer Course, Free Courses, Online Courses and tagged BCC, Certification, Computer Courses, Skills for beginners on August 21, 2018 by manish. Learn everything from responsive web design to WordPress design, and create user-friendly sites for yourself or for your web design business clients. Learning web designing course is good option to have an additional skill in the computer course. Having an additional skill in the application like website designing. we have option to become website designer. if nothing happens. Why I Should Learn Web Designing? In order to have a skill of designing a web is very good. As most people have interest in the website designing, and who they don’t get bore of using computer so often, they should learn Web Designing Course. It may be some of you know better coding. You can increase the ability of yourself doing coding So, thats a good opportunity to learn more web codes. If you choose to learn the web designing course, This Benefits you in the term of creating website. and after you successfully learn this course. you will have best job option. Because, Most People search for placement, and we too provide placements to our student. Now here, In this article I am going to tell you about Web Designing Course Step By Step. As you come across our website, you will see many courses listed on our web market place (Acme Collins School). From this place, You have to select (ADD TO CART) the web designing course or related to it. Then, Click on the Checkout Button. Once you have completed the first step, go to next step. After you select the web designing course, this will ask you fill normal form in which you have to fill your username (it can be anything), Password, Email ID, Mobile Number, Address and Course Category. Once you completed the previous step, Click on the Sign UP button and you will be redirected to confirmation page. if you have done with 3rd step, you have to click Continue/Submit and you will be redirected to the payment page. After completion of 4th Step, you need to fill the Credit Card/Debit Card/Net Banking etc. in order to make course Payment. This entry was posted in Web Designing Course and tagged Computer Courses, Diploma Courses, Online Certificate, online Courses, Web Designing Course, Website Designing on June 16, 2018 by manish.